With Emotional Intelligence (EI) Executive Coaching you will not only attain the goals you know you want to reach as a leader, but you will also discover new milestones and future accomplishments you probably never previously thought about. 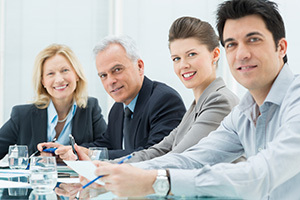 Who will benefit from EI Executive Coaching? For leaders, EI Executive Coaching, an inquiry-based approach to personal and professional development. It creates awareness, generates action, and facilitates learning and growth. It focuses on improving performance by helping individuals to develop and sustain new perspectives, attitudes, skills and behaviors. With EI Executive Coaching, we work together to ensure that you are on your most meaningful and productive path. We will make sure it is in line with your most precious values. Also, we will explore the alignment between your values and the company’s, so as to address any inconsistencies. Are you experiencing stresses from not having work-lifestyle balance? Looking for new coaching team tools? Are you stuck on a plateau as a leader? Don’t feel overwhelmed! In our modern high pressure and hectic workplace, it’s almost normal. Many, if not most, leaders experience challenging times somewhere along the way. The causes of these challenges are many. Perhaps they are related to lack of self-actualization potential and emotional awareness in building relationships, reality testing and impulse control abilities or communication and problem solving skills. Whatever the cause, you may need help. Such help may well consist of EI Executive Coaching. What else do you need to know before we start? I provide coaching sessions via Skype or Google Hangouts or Zoom from wherever you are in the world. Each session lasts 60 minutes and normally costs $400 per session. In order to give us the time needed to fully address your situation and potential, I recommend a minimum of twelve sessions. Included in the cost of the twelve sessions is the price of the Emotional Intelligence Leadership Assessment, which ordinarily costs $500. I can’t wait to support you and help you to apply your new EI learning so as to empower and deepen your current executive role. Do not hesitate to contact me. A typical executive coaching engagement is about 6 months in duration, but can be anywhere from 3-12 months, depending on the situation. The greater the change that is needed, the more coaching is required. Our first, 60-minute introductory Emotional Intelligence Executive Coaching session is on me. “If your actions inspire others to dream more, do more and become more, you are a leader”. Emotional intelligence (EI) is defined as “a set of emotional and social skills that influence the way we perceive and express ourselves, develop and maintain social relationships, cope with challenges, and use emotional information in an effective and meaningful way”. While Emotional Intelligence isn’t the sole predictor of human performance and development potential, it is proven to be a key indicator in these areas. Emotional intelligence is also not a static factor — to the contrary, one’s emotional intelligence can change over time and can be developed in targeted areas. “I have chosen to offer Emotional Intelligence Executive Coaching because I know that if you want to be authentic and pursue your heart’s desire, you’ll need the motivation and skills to take you all the way. Emotional intelligence gives you the most consistent and effective way forward. Emotional intelligence will not only help you understand and navigate the feelings and motivations of those who become a part of your journey, but it will help you be more authentic, powerful, and creative leader.